Nowadays, many will say that without technology and electricity, life as we know it would be bad. Without electricity, life could never be harder. Even though we take both electricity and technology for granted, we know their great importance to us. Maybe a few will say that life a hundred years ago was better – how life was simpler and people were more content back in the days. If we have the chance to relive the life from the past, would we take it? Decades ago, what were the ways in which people used to heat their homes? What is it like back then? What were the basic technologies during those days? Hundreds of years ago, we did not see any air conditioned houses or modern day heaters. We did not even see refrigerators or computers. When it was dark, all we had was a kerosene lamp to give us light. We had iceboxes to cool our food. We had fireplaces and boilers to warm us up against the chill and cold winter nights. Life back then was just modest and humble. A few people used electrical boilers back then to warm their households. According to the dictionary, an electrical boiler is a type of boiler that discharges mist which is used to make electrical energy. This type of boiler does not use burning of fuel as a source, but steam instead. From what we see in movies, fireplaces create a calm and stress-free feeling for the family and the room itself. During the unmatched coldness the winter season could bring, people had their houses built with fireplace which could lessen the coldness the weather brings. Electrical boilers even though present back in the old days were not widely used. Why? It is because people prefer wood-fired boilers. These are the types of boilers which use lumber instead of electrical energy. Because wood can be sourced without trouble, wood-fired boilers were widespread in use in many regions. Back in time, others used pellets. Pellets are from lumber chunks and sawdust. Pellets are raw materials which when dried and exposed to great pressure would produce small and round twigs. The use of pellets is also famous back in the days because it would cause a slow and steady release of heat. Some boilers also use pellets. Pellets become the food to the boiler making it ignite with fire. 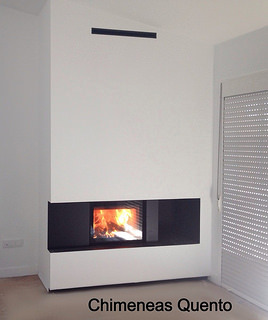 Using pellets makes heating homes rather easy. Because wood is the cheapest source of energy that can be acquired locally, pellets were also a very popular and cost effective way to heat the home. Coal stoves are simply stoves that burn coal. Because coal can withstand greater temperatures than wood, many people preferred using it. Another big difference of coal stoves from wood-fired boilers is that the former burns at a high temperature compared to lumber. Hundreds of years ago, environmental problems were not a big issue so people were widely using coal stoves to warm their homes. Unlike today, many people don’t necessarily use coal as it is a large chemical agent which is a threat to a greener Earth. Because oil can be stored anywhere clean, it is a good source in heating food, water and houses. Back then, people had a variety of ways to warm their homes. Some preferred to use pellets; few used coal stoves while many used wood-fired boilers. Another thing which shall be put to this list is the oil boilers. Oil boilers were an alternative to heating homes back then. It is also particularly popular in areas of the country with limited access to natural gas. According to a recent study, a boiler has an effectiveness of 90% to 91% compared with just a low percentage for a new boiler and other types of boilers. At the present time, we get electricity through various sources. Some sources are from natural gas, oil, coal, solar power and others. Back in the old days, we only had lumber, oil, pellets and coal. Indeed, there have been a multitudes of changes which happened over the course of the past hundred years or so. Most have fallen by the way side in and replaced with more modern ways, but some still remain like the open fireplace which is likely to never fade out due to the intrinsic link between Man and fire.